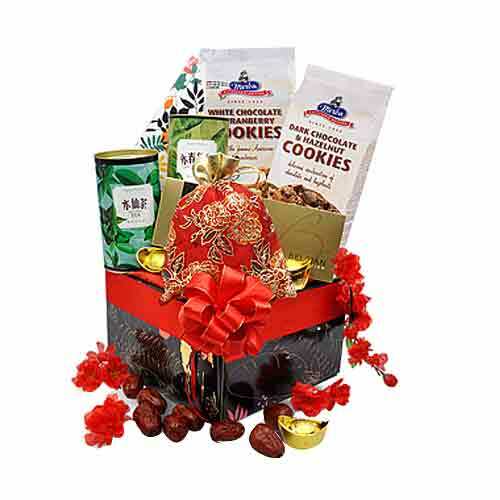 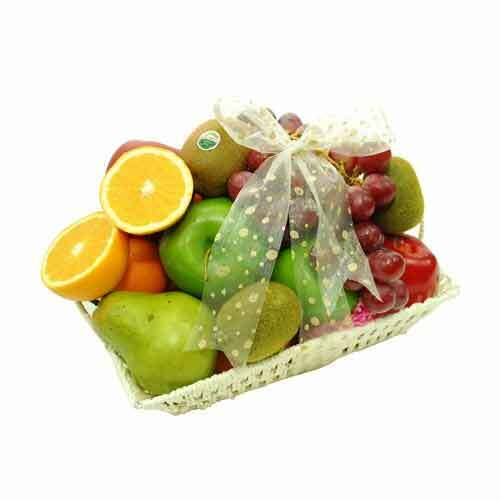 Description: Tighten the bonds of your relationship by sending your loved ones this Adorable Gourmet Heaven Gift Hamper that they will cherish through their lifetime. 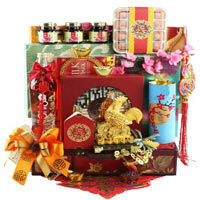 This attractive Hamper is featured with delicious and refreshing Harvest Ville Crunch Apricot Butter Cookies of 130 grams, Mark �N �Spencer Metropolitan Biscuits N Belgian Chocolates of 150 grams, Harvest Ville Crunch Cheese Butter Cookies of 130 grams, Yong Chun Fo Shou of 100 grams, Shui Xian Oolong Tea of 100 grams and Premium Red Dates of 148 grams. 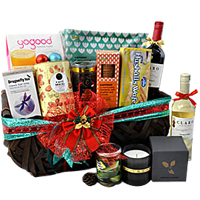 All these items are presented in a PPG Designer Box accessorized with Festive Ribbons. 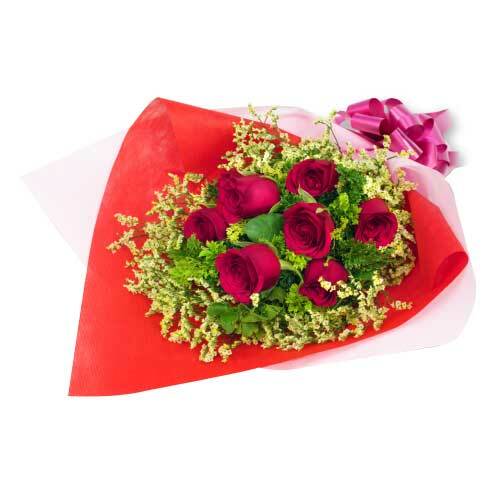 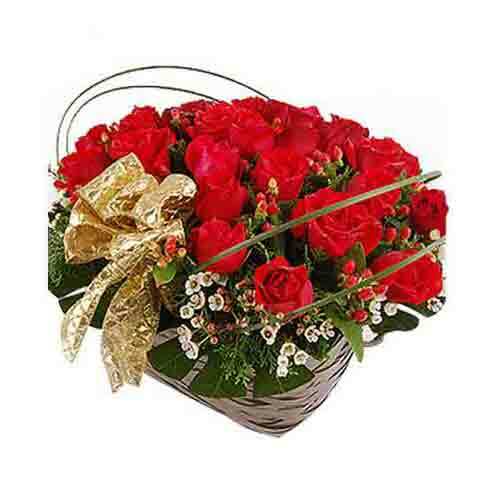 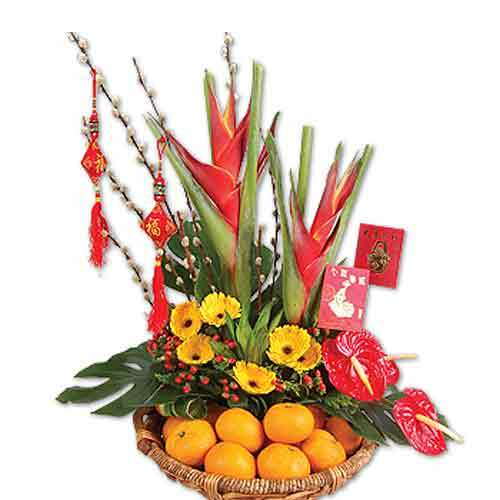 Arrangement of 36 Stalks of Red Roses , Berries and greenery.